I always love a nice spooky story, especially around this time of year, and I recently received two via Netgalley, so let's get right into them. As always, thank you to them and the publishers for the e-copies. 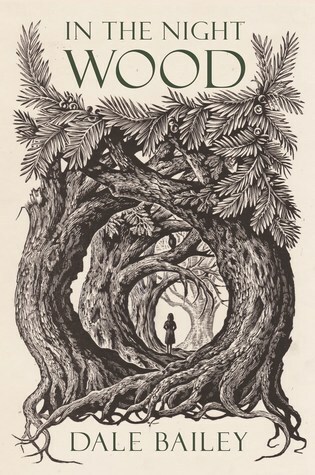 In the Night Wood- Dale Bailey: This story centers around Charles, a failed husband, father, and scholar who has a slight obsession with a Victorian children's fantasy author named Caedmon Hollow. Charles' wife is a long distant relative of Hollow, and after the death of their young child, they leave the States to stay at Hollow's remote English estate which his wife has just inherited. While there, Charles digs deeper into Hollow's life on the grounds of writing a biography. What he finds is an eerie link to another world that may prove to be more than they bargained for. I really enjoyed the concept of this story. I felt the writing was very atmospheric and that you could really picture being in this small Yorkshire village, but overall I felt it was very slow. The bits that had to do with Hollow and the supernatural were interesting, but it just took a lot of time to get there. I felt like I had read the majority of the story before anything really happened. I was hoping for a dark, engaging Victorian-inspired story, but it left me wanting just a little bit more. 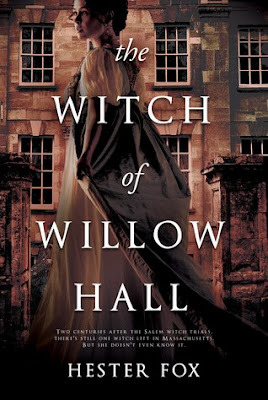 The Witch of Willow Hall- Hester Fox: Holy cow, did I love this book! I was initially drawn in just by the tagline, "Two centuries after the Salem witch trials, there's still one witch left in Massachusetts. But she doesn't even know it." and I'm happy to say that this book is more than just a great tagline. After a scandal forces Lydia Montrose and her family to flee Boston for their new country home, Willow Hall, she notices strange occurrences cropping up in the seemingly charming estate. Lydia feels a growing sense of terror and unease in her new home, which only worsens after the death of her younger sister. After one such encounter with the supernatural, Lydia discovers there is a power within her that she must learn to harness if she wants to protect herself and her loved ones. I can't say enough how much I loved this book. It was beautifully written (so hard to believe this was Fox's first novel!) and the witchy-ness wasn't too overpowering and in your face. It was subtle and allowed for the story to become so much more. I cannot recommend this one enough.